Watering the lawn and garden is a thankless chore, and it tends to be especially wasteful if done with a hose in one hand and a beer in the other. Irrigation systems have made home watering simpler and more efficient, and while the bulk of any sprinkler system revolves around plastic pipes and a set of motorized valves attached to the water supply, the brains of the operation has always been in the controller. For decades, sprinkler controllers have hardly been elegant devices. They typically consist of a rotary dial, a handful of switches, and perhaps a crude monochrome LCD. 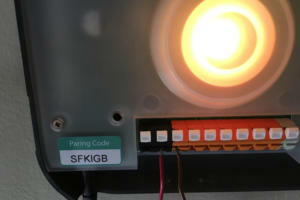 This is rapidly changing, as smart sprinkler controllers enter the market. These have come from two angles: Startups looking to disrupt the market with brand-new devices, and old-guard irrigation companies that have upgraded their gear with smart innards. Both approaches to date have shown some merit. Here are our takes on the best gear on the market today. GreenIQ has notified us that it will be ceasing operations as of January 1, 2019. The company says its second- and third-generation GreenIQ irrigation controllers will continue to operate in "GreenIQ Direct" mode (peer-to-peer communication), but that cellular-based operations will not be guaranteed after that date. If you purchased one of the company's smart sprinkler controllers and registered it with the company, you should receive an email with more detailed instructions on how to use it after that date. 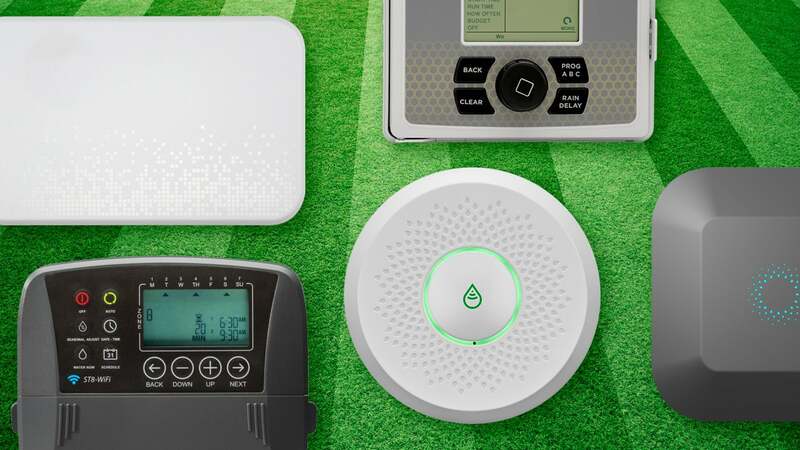 The world’s best smart sprinkler controller gets even better, with new features, better wireless connectivity, and smarter water management. 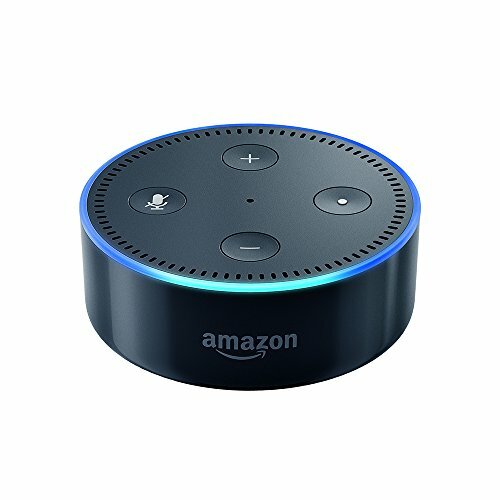 (Note: There is also an 8-zone model that sells for $249.99). Once again, there's no contest: The Rachio 3 succeeds the second-generation Rachio as the best smart sprinkler controller on the market. The new model is even easier to install, and the company has made various improvements to its already terrific app. Once again, it's available in both 8- and 16-zone configurations, and there's an outdoor enclosure if you can't install the device indoors. This rugged smart sprinkler isn’t as easy to use as Rachio, but it does allow for app-free control. 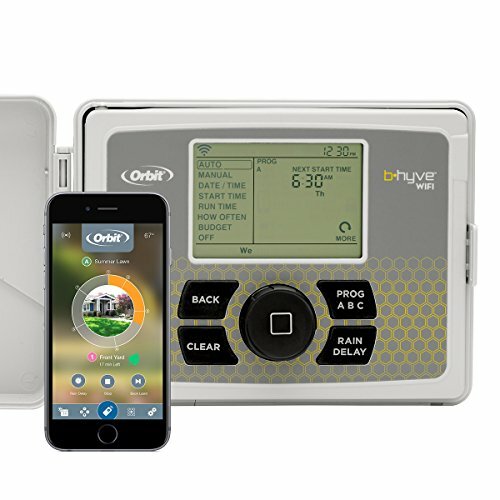 Unlike Rachio, Orbit has been in this business for more than 40 years, and the B-hyve marks its big entry to the smart sprinkler world. The device is a monster, ready for outdoor use (or for bludgeoning an intruder to death, should it come down to it) and featuring support for either 6 or 12 zones, depending on the model. Its smart watering recommendations are OK, but making changes is relatively simple through the capable app if you want to tweak them. If you need onboard controls, the B-hyve is fully loaded, so you can tweak your programs or run manual watering sessions without using the app—though there’s quite a learning curve to master said controls. Best of all: Orbit’s B-hyve is incredibly affordable, with the six-zone model available for just $99. Do you have a sprinkler system already? While there are a few smart irrigation controllers that will work with garden hoses or other off-the-rack equipment, most are designed to work with true irrigation controllers that connect to their own water supply and which feature motorized valves and dedicated tubing to control the flow of water. Installing a real sprinkler system can be a big task that requires professional help—particularly if you have a large yard or garden—but upgrading to a smart controller from a “dumb” one isn’t difficult. Consult with a landscaping expert first if you are installing a sprinkler system from scratch, in order to plan out your zones in advance. On-device controls: Probably the biggest single decision you need to make with a controller is whether you want a device that includes onboard controls, i.e., buttons and a readout directly on the controller that allow you to use it without an app. This can be handy if you have multiple people using the system or, especially, want to give a gardener access to the controller without having to set him or her up on the app. Systems without on-device controls generally lack any kind of display whatsoever except for a status light indicating whether it’s working, so remember you’ll need the app on your smartphone or tablet to do anything with it. Indoor/outdoor mounting: Are you mounting the unit inside or outside? If outside, you’ll need a weatherproof enclosure for the system. Some vendors sell separate indoor and outdoor versions of their controllers. Others sell an outdoor enclosure as a separate add-on. The Blossom 7 can control up to seven sprinkler zones independently. Number of zones: In irrigation parlance, a zone is an area controlled by a valve and its connected irrigation tubing. If you have four valves, you have four zones. Your controller needs to have enough capacity to support all the zones in your system. Eight zones is common, but units supporting as few as six zones and as many as 16 zones are currently on the market. Scheduling flexibility: How often do you want to water? Every day? Every other day? On specific days of the week? Not every controller can handle complex schedules, so look closely at your options before buying. A few controllers can even import legal watering restrictions information for your zip code, to ensure you aren’t watering on prohibited days. Notifications: It’s helpful to be notified when your watering system is running, but different products deal with the mechanics differently. Push notifications are common, but many only notify you when the watering has completed, not when it starts (which is arguably more useful). Other forms of notification (email, text) aren’t common, so consider a unit that supports IFTTT if you want to get fancy with notifications. “Smart” scheduling: Once of the great promises of smart watering systems is that they can take into account your local weather and environment to optimize your water delivery. We’ve found that these don’t work all that well (they have a tendency to over-water), though options that skip watering when it rains can be a bonus feature. Otherwise, there’s not too much of a need to put weight on so-called “smart” scheduling features. Smart-home hub support: Want to tie your sprinkler system into your smart-home hub? Sounds great, but the reality is that most smart sprinklers exist as islands today: Only a few connect to anything at all, though Amazon’s Alexa has a modicum of support. Expect this to change as these products mature. This device is a smart, top-notch choice to handle your outdoor watering needs. Rain Bird’s first-generation smart controller is rather utilitarian and its performance is slow, but it features enough extras to merit a look in some environments. If you have relatively simple watering needs, the Blossom 7 is a credible smart sprinkler solution. This flow meter monitors your sprinkler system for leaks, but only it’s compatible only with the third-generation Rachio smart sprinkler controller.